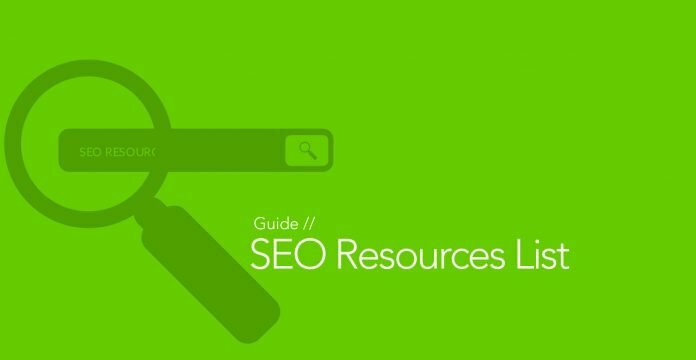 Roundup of the best Paid and Free SEO resources and SEO tools available for the desktop and online platforms. If you have tried your hand in SEO and SEM, you would realize that keyword research, position tracking, backlink analysis and Outreach is a cumbersome process. Its time to ditch that spreadsheet! These SEO software and services are help you manage your SEO efforts in a unified platform. Without further ado, here are some SEO resources and tools that professionals use on a daily basis to help with keyword research, rank tracking, backlinks management and competition analysis. SEM Rush is an all in one suite of tools that accomplishes most of your Search Engine Optimization and Search Engine Marketing needs. Currently, SEM Rush provides you with 28 advanced tools. 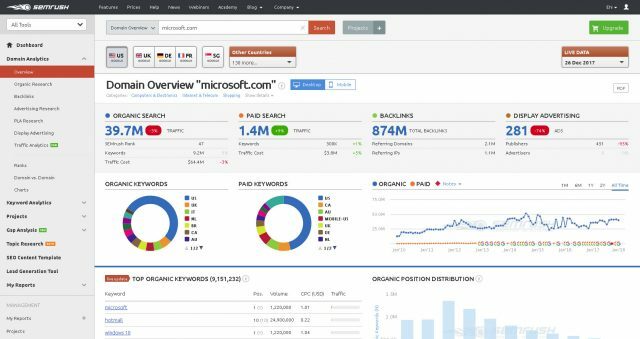 The Domain analytics tool allows you to analyse any domain (read: your competitors) for sources of traffic. Just type in the domain name and it instantly gives you insight on it’s top organic and paid keywords. It even analyses all backlinks to the domain. And that’s just the basics. SEM Rush boasts a huge database including over 130 countries (including Google USA, UK, Germany, France and Singapore. So you can check your keywords on the local version of Google as well. Currently SEM Rush is available in 7 different languages (English, Spanish French, German, Italian, Portuguese and Russian. As of date, it remains as the tools of choice for professional SEO professionals. However, at its relatively high subscription price, it may be out of reach small website owners. Try SEM Rush for free (with daily limits) just by registering a trial account. Rankings, on-page, backlinks, and reports – all in one easy-to-use toolkit. Rank Tracker – to monitor your rank positions and keyword research. 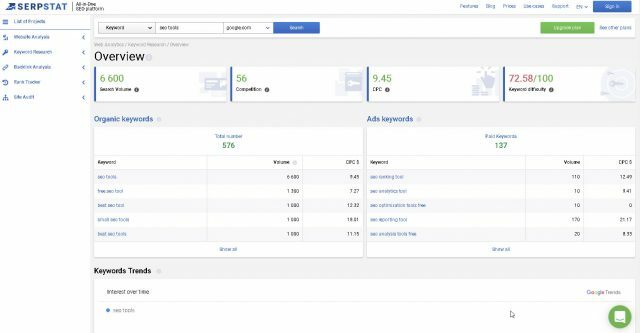 One unique feature of Rank Tracker is that it allows you to check your rankings and keywords research with multiple seach engines (Google, Bing and Yahoo) with a click of a button. Furthermore, it also tells you how competitive a keyword is. So you don’t have to waste your time guessing. SEO Powersuite software is available for Mac, Windows or Linux. SEO Powersuite is free for trial without limits but to be able to save your project, you’ll have to upgrade to the pro version. SerpStat is one affordable online SEO platform. At only $19 a month for the basic plan, it is a affordable starter kit for SEO novices to try. It has all the necessary SEO tools like Website Analysis, Keyword Research, Backlink Analysis and Website Auditor. However, SerpStat does not provide very extensive coverage on local Google searches. Currently, it supports 14 different countries mostly in US, Canada and Europe and Australia. And, notably, it also has support for Yandex. Although, if you are trying to rank in the Asia region, like Singapore or Malaysia, SerpStat falls short on that. Web CEO is a suite of online SEO tools that allows for collaboration to manage SEO tasks. 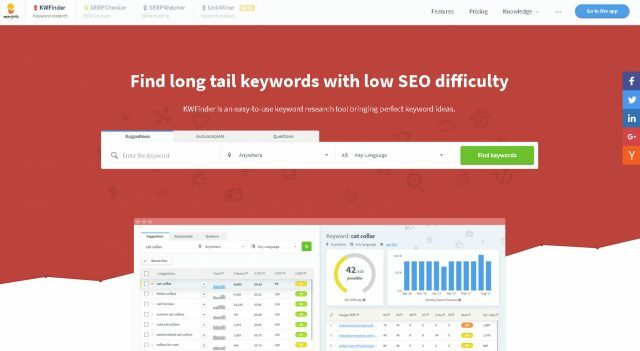 Packed with 15 different tools for SEO (Keyword Tool, Rank Checker, SEO Auditor, Backlink Checker, Competitor Research tool). Furthermore, you choose an agency plan to white label the software tools even use your own domain! Specialized software to research long tail keywords. 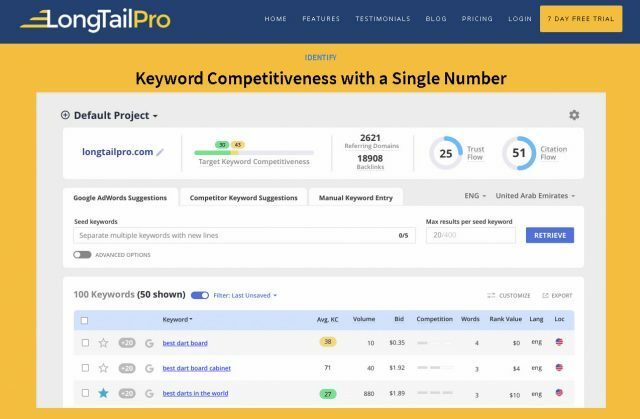 Easily check out the competition level of any keywords to determine the difficulty of ranking different keywords in the top 10 Google results. Mangools SEO tools is an online platform for SEO. It consists of 4 different tools including the popular KWFinder. The ease of use of Mangools platform is generally praised by the SEO community. SERPChecker is a Google SERP competitor analysis tool providing 45+ SEO metrics. LinkMiner is an easy-to-use backlink checker tool focusing on backlinks that matter. Authority Spy – The Most Powerful Software for Finding + Analyzing Influential People & Blogs On the Web! RankPay – SEO Agency. Performance-Based SEO Service. Pay only if your site performs!